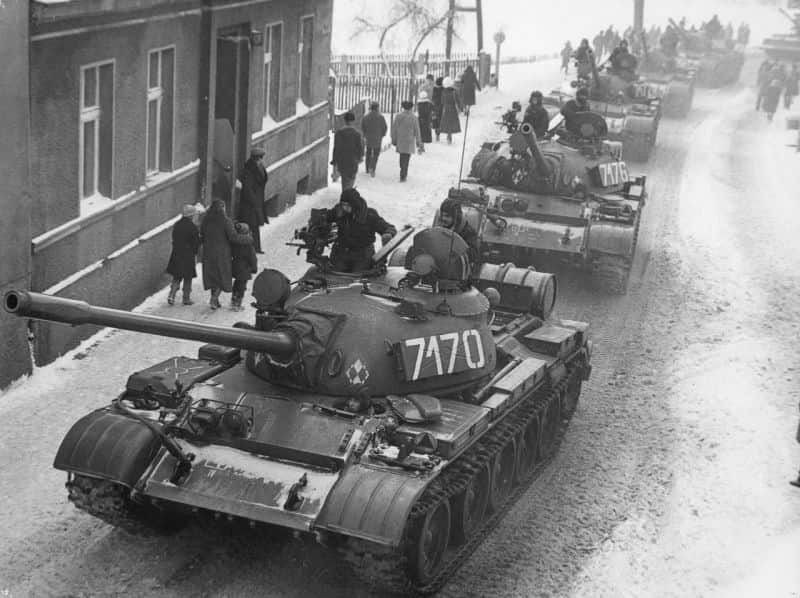 You know that governments have confiscated guns or banned guns during martial law in Venezuela, the Philippines, the Soviet Union, Guatemala, Uganda, and many other countries. But did you know that the United States government has confiscated guns during martial law? We aren’t just talking about the uprisings during the 18th century. During Hurricane Katrina and Hurricane Rita in Texas, soldiers were sent out to confiscate firearms from law-abiding civilians without a warrant. The most famous case of gun confiscation is that of Patricia Konie, a New Orleans resident who had emergency supplies stockpiled in her home. She stayed in her home during Katrina and had a revolver to protect herself. 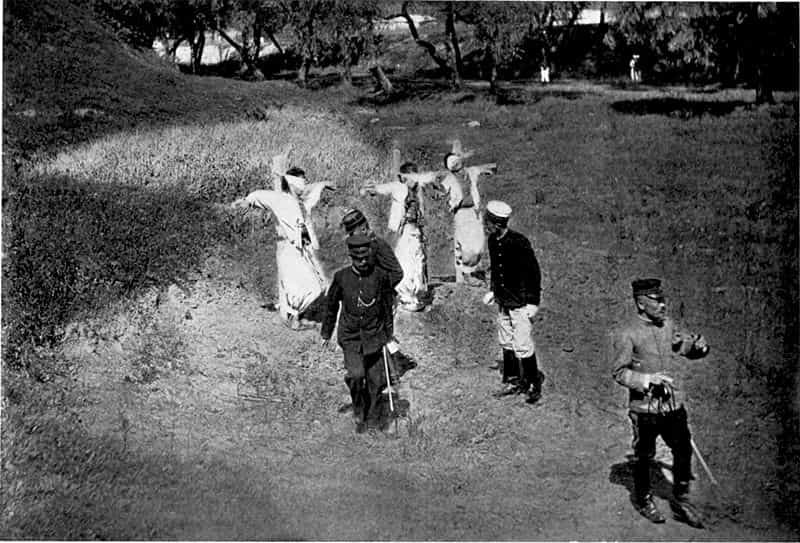 When she refused to turn it over to the soldiers who came to confiscate it, she was attacked, had her shoulder fractured, and was taken into custody! You can see the video of Konie’s ordeal below. According to federal data, nearly 200,000 firearms are reported lost or stolen each year. Even if you take measures to secure your home against intruders, home invasion is still a possibility – so you must make sure your guns are well hidden or secured. Hiding guns during martial law is NOT the same as during normal times! Simple Methods To Improve Your Home Defense Preps. Do you know why you should never put a tall fence around your house? Or what kind of meat you should never eat in a crisis? Check out the simple steps you can take to safeguard your home by clicking here. There is a lot of debate about what would happen during martial law. Some believe that the authorities would come with X-ray equipment and gun-sniffing dogs to find your guns. 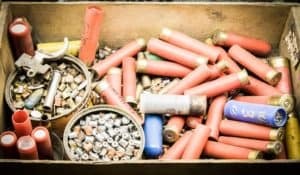 Others believe that confiscating guns wouldn’t be a possibility because there would be too much chaos to organize the authorities into a thorough cordon and search operation. Anyone who tells you they know exactly what will happen during a SHTF situation (and what you should do) is full of Sh#t! We don’t know what will happen, which is why we always prepare ourselves for the WORST CASE SCENARIO – while simultaneously praying that it won’t actually happen. Prepping for the worst means hiding your guns as best as you can. *Also read this article about How to Subvert the Authorities and Survive Martial Law. The first thing about hiding guns during martial law is knowing where not to hide them. Remember, we are prepping for the worst – which means armed soldiers with gun-sniffing dogs and ground-penetrating radar coming into your home. Hiding your guns in the normal places – like a hidden compartment under your kitchen cabinets – isn’t going to work in these worst-case scenarios. Ideally you don’t hide your guns inside your home. 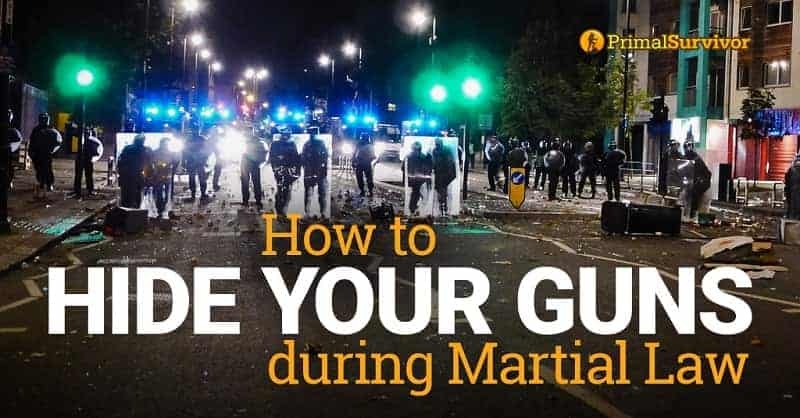 If you must hide your guns inside, count on the fact that authorities during martial law probably won’t have a lot of time to do a thorough search (again, we don’t know what will happen – we can just weigh the likely possibilities). Places like inside a hollow hot water tank or a watertight bag under the gravel in a fish tank could work. Ammo could go in a hollow curtain rod. An off-site hiding place might also work. I’m not talking about your Uncle Jim’s house, because the authorities will go there to confiscate firearms too. By off-site, I mean a storage shed somewhere. 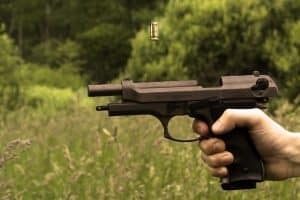 Of course, the authorities could also search all storage sheds – it just might take longer for them to get to those so you may have time to grab your stored guns and GO before they are confiscated. Most experts agree that the best place to hide your guns during martial law is underground. Yes, authorities do have ground-penetrating radar that would allow them to find buried guns. However, it is unlikely that there will be time to search every square inch of your property so underground is likely the best way to go. 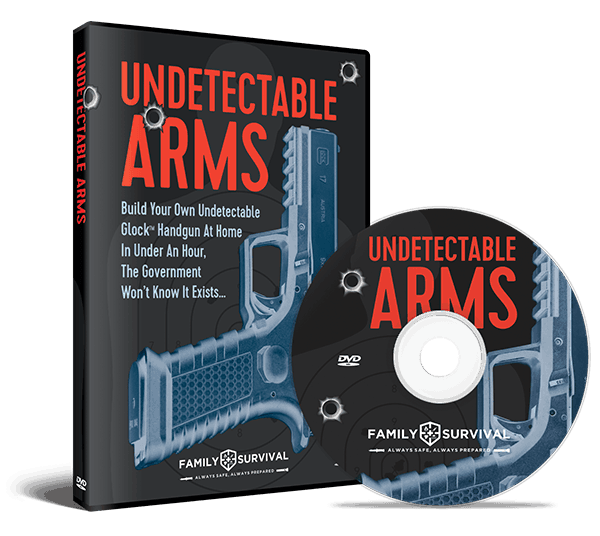 Backwoods home has a great article on how to hide your guns underground. There are some advanced strategies there for hiding guns underground – like digging a trench from your home to a shed or barn. The trench has a heavy metal cable in it. The firearm is at the end of the trench. If authorities detect metal and start digging, they find the cable first and don’t bother to dig anymore. Rather than rehashing all of this info, I really recommend reading the Backwoods Home article. The author does a great job of explaining options for storage containers, locations, and other logistics of hiding guns underground. Have a gun badly-hidden somewhere in your home. When the authorities come and find it, make a big deal about turning it over. If the authorities come with a list of all of your registered guns, this probably isn’t going to work. But if the grid is down and they don’t have access to the registers (such as after a major EMP event), then this could work. It is actually easier to build a gun than you might think. You can find instructions online. There are also a lot of people who have made guns with 3D printers. If the authorities have a list of the guns you own, you could get thrown in jail for not turning them all over – including those ones you’ve got hidden underground. One way to get your guns off the register is to report them as stolen. This is illegal and I’m not condoning it in normal situations. However, if you see the situation getting really bad, you could report your gun as stolen and your name could get taken off the list. *Disclaimer: I am not encouraging or promoting illegal activity. 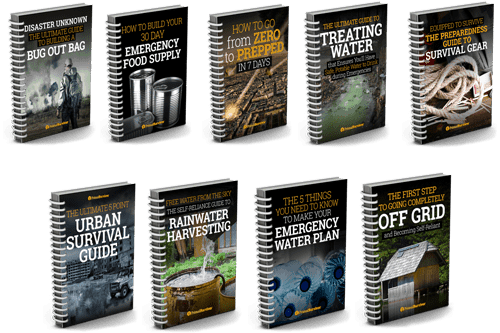 These strategies are only mentioned in context of SHTF situations where your survival is on the line. I’ve heard a lot of preppers say that, “If it is time to bury your guns, then it is time to use them.” They argue that, if the authorities come to take your gun, it is your patriotic duty to start shooting… That it is worth risking your life to stop even one of the soldiers. I personally don’t agree with this logic. Getting yourself killed isn’t going to do society any good. It is just going to leave society with one less person to stand up against martial law. And you most certainly will get killed if you start shooting at soldiers with superior technology who are lined up outside of your door or cordoned neighborhood. 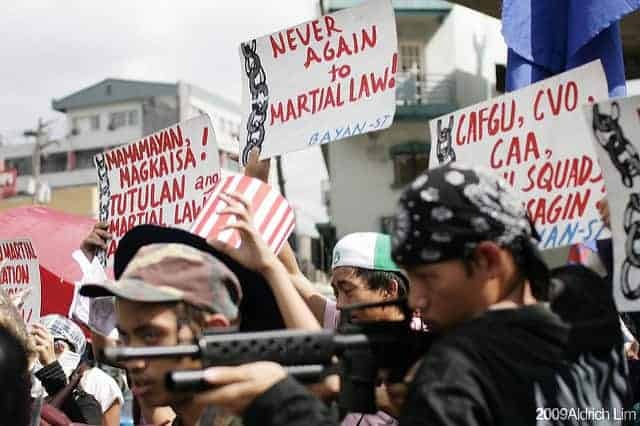 Throughout history, the groups who have succeeding in resisting and overthrowing martial law have done so by organizing and planning and NOT randomly shooting at the first authority figure to show up. 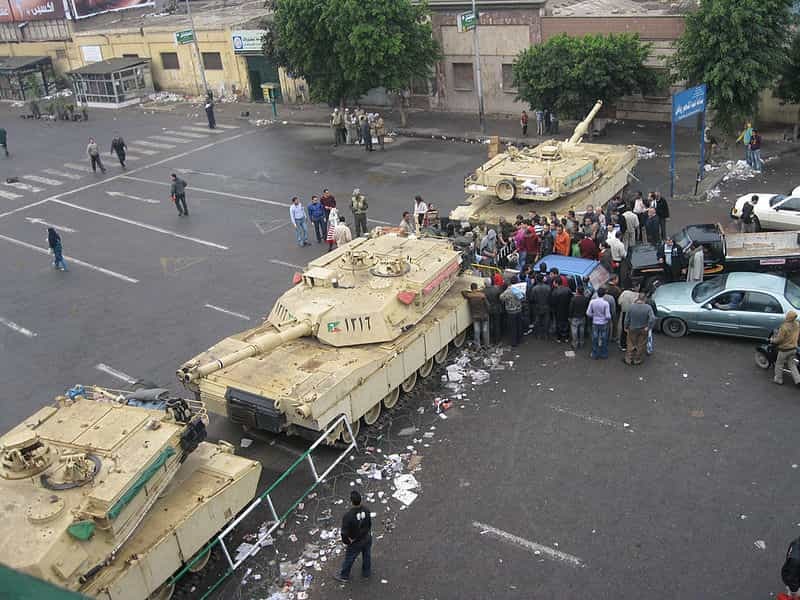 Resistance involved organized cache and distribution systems, and planned attacks. So think twice before your “plan” is to shoot at anyone who comes for your gun. “When you have a Bradley with a Chain Gun in your front yard during a cordon search is probably NOT the best time to go to war…You’ve ALREADY LOST at that point. 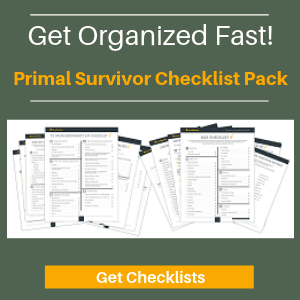 Remember, prepping means taking steps to prepare for the WORST POSSIBLE SITUATION. We don’t know what will happen in a SHTF situation, so can only do our best (and what is within our means) to prepare. Prepping for the worst means that you should assume they will find your guns and you will be left without a firearm for protection. To prep for this situation, be ready to bug out, to build your own DIY weapons, or to group with others for survival. You always need a Plan B (and C, D, E…)! 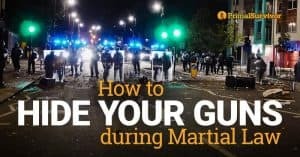 Do you have a strategy for martial law? Let’s hear about it! Leave a comment below. I was there when that ladies gun was taken by a California Highway Patrol officer. She was a crazy old lady waiving her gun around. He did the right thing taking it from her before she accidentally shot someone with it. We went door to door evacuating folks, but we were not confiscating weapons from anyone. My team even came across a guy with all his rifles and did not take a single one. The NRA, of which I am a life member, made a big deal over this old lady getting tackled and having her pistol taken. Im sorry, but you just don’t waive a gun at a police officer like that and think nothing is going to happen. She is fortunate she was not shot. Thanks Gman, good to hear the other side of the story. All the cops there she be in jail. They should not have entered the house. she had here hand around the revolvers cylinder, how is she going to shoot anyone. They also specifically asked to see the pistol. Bullies!! She was in New Orleans, what was California Highway Patrol doing there? I think you confused her with someone else. I would never fire on an American soldier unless he was trying to shoot and kill me. I agree but I still remember Ohio and history (tin soldiers and Nixon coming. ..4 dead in ohio.) I also am a veteran. It’s all well and fine to blindly “support our troops” and “back up the blue” until they are breaking into your home at zero dark with auto mp5s and ninja suits on. Screaming at you and shooting your dog or maybe your pregnant wife in the process. Whatever , they aren’t anyone special in my eyes and anyone who works for the enemy , Is the enemy. Your are either for freedom or for tyranny ,there are no grey areas. We are American citizens, and if they are not for us, then they are against us. They are the Traitors not us! Hey, copper. What makes your life more special than mine? She has a RIGHT to defend herself, even from a JBT like you. I respect the person, but I will NEVER respect the badge. Buy one already made at “Upshot Archery” (on ETSY). Tommy makes some great stuff. Exactly – this is why we prepare beforehand! The best way to be prepared is to prevent telling about your plans on social media. You can get ideas from friends,here and books, but modify for your situation and do not spread or speak about it to strangers or social media. Always do background checks on anyone who wants to volutarily join in with you. You can go out and seek others to join you, but be careful, and never trust any person who asked to join you without you seeking them out first. A pointer or two. When hiding in your house, think high. Make something in the walls 8-10 feet off the ground(not in the attic, they’ll search there). Dogs can’t sniff that high. As for outside, sheds are worthless. They’ll just tear them down if they have to. Again, think high. Take off some siding and build storage 8-10 feet high.